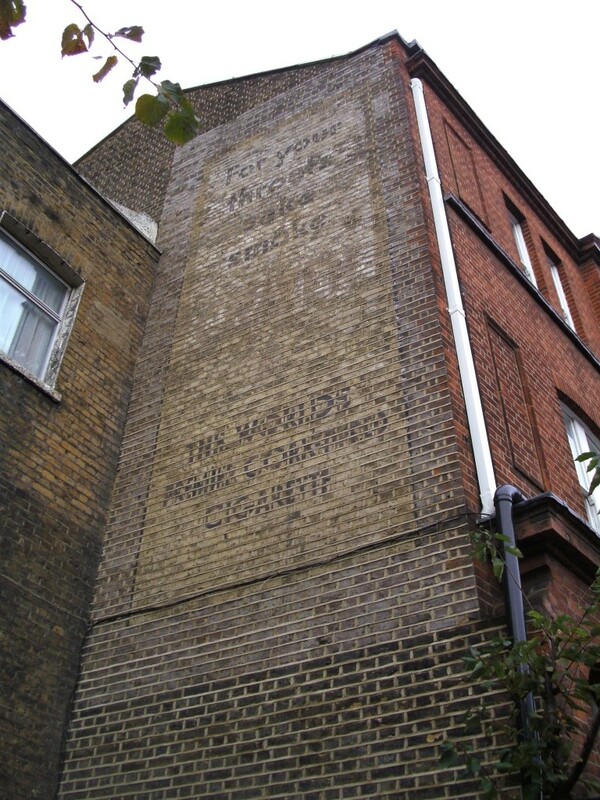 The ‘ghost sign’ above and below can be found on the side of number 20 Brixton Road. This sign is quite faded but research tells us that it was for Craven ‘A’ cigarettes, which were very popular with soldiers in the Second World War. 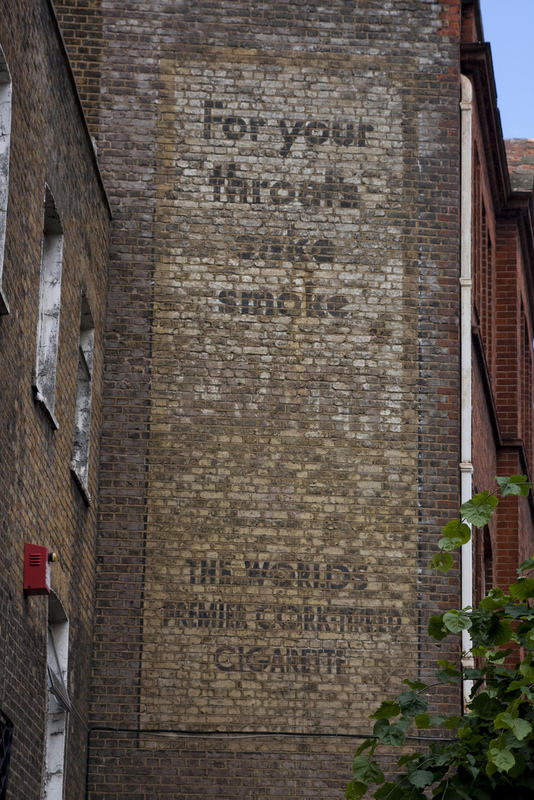 Smoking adverts have been banned in the UK since 2002, but they were once everywhere.